The suit says that the contract allowed for a 60 day window at the end of the term to hear offers from competitors, with Emmis having the right to match any offers. 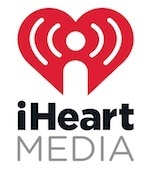 BIG BOY, the suit alleges, brought EMMIS a copy on January 16th of an iHEARTMEDIA offer for $3.5 million annually plus benefits, and Emmis says it matched the offer but that BIG BOY told them he would take the iHEARTMEDIA offer. Has Diddy “Pumped the Brakes” on Empire?